Have you ever gave a closer look at that stunning golden work on your traditional Indian punjabi suits and thought that they look all the same? Indian embroidery has a unique, rich and royal past and every embroidery style is different from the other. And there is no denial in the fact that we are often wearing stunning treasures on different occasions that we might don’t know much about! Well, this post is telling it all about the India’s very own unique and appliqué embroidery work: Gota Patti! In which, the traditional pieces and metallic threads are made use of to create gota patti Punjabi suits, gota patti saree, lehenga and what not! Colours which are being used in this work are generally bright orange, red, hot pink, electric blue, emerald green and gold and silk. But the new and ace designers today have started using some unusual colours like earthy and pastel shades having a metallic touch. Gota patti work’s history goes all the way back into the Mughal scions. Gota patti work was introduced first in Rajasthan and engrosses appliqué work on the ribbon cloth that was after that sewn onto the borders of suits, sarees and lehengas. The thing which makes gota patti work extremely special is the bright golden and silver ribbon. These ribbons are cut into the shapes of leaves, animal, flower and other beautiful and natural motifs and then intricately embroidered by using silver, gold or copper threads over bandhini, satin and georgette fabrics for creating gorgeous and attractive surface textures. The surface texturing and embroidery on the fabric is just the icing on the cake on your treasured gota patti punjabi suits. Gota patti is considered to be an unique embroidery work wherein drawing, cutting and folding techniques are used to create elaborate patterns that are further sewn onto the primary fabric. Gota mainly uses gold, silver and copper colored threads that blend in perfectly for any women craving an Indian dose of that metallic gota patti punjabi suit trend. Gota patti work has been extremely embraced by a swing of ace designers. 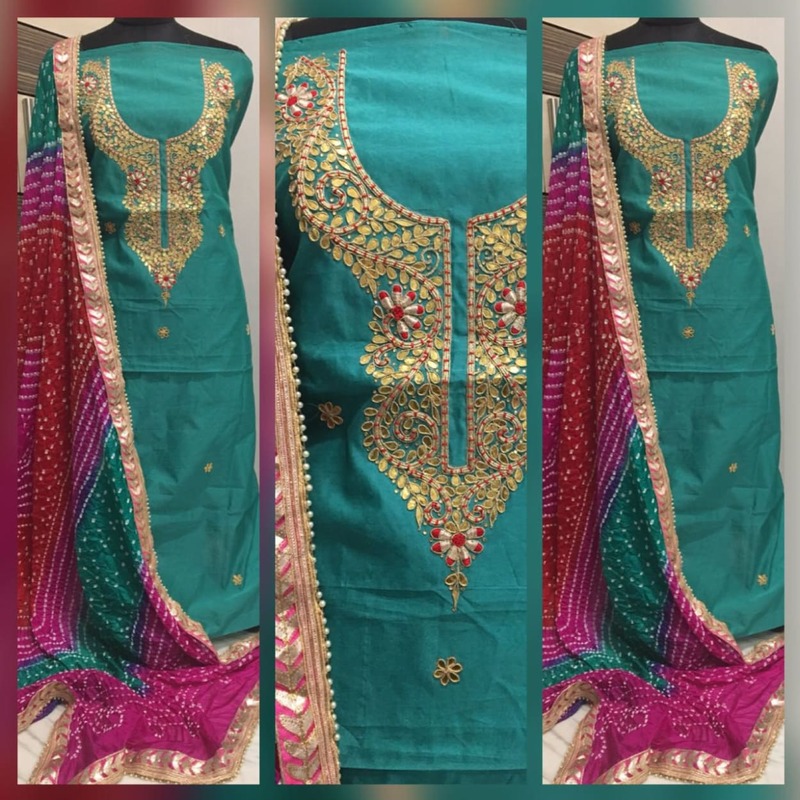 Presently, nearly every ace designer’s bridal outfits and party wear outfits have gota patti work on it that makes a striking blend of traditional and modern. The top designers now are also pushing the conventions of gota patti work by using it for full body work on Punjabi suits and giving this unique Indian embroidery a young and fresh twist through weaving it on the neon print fabrics. 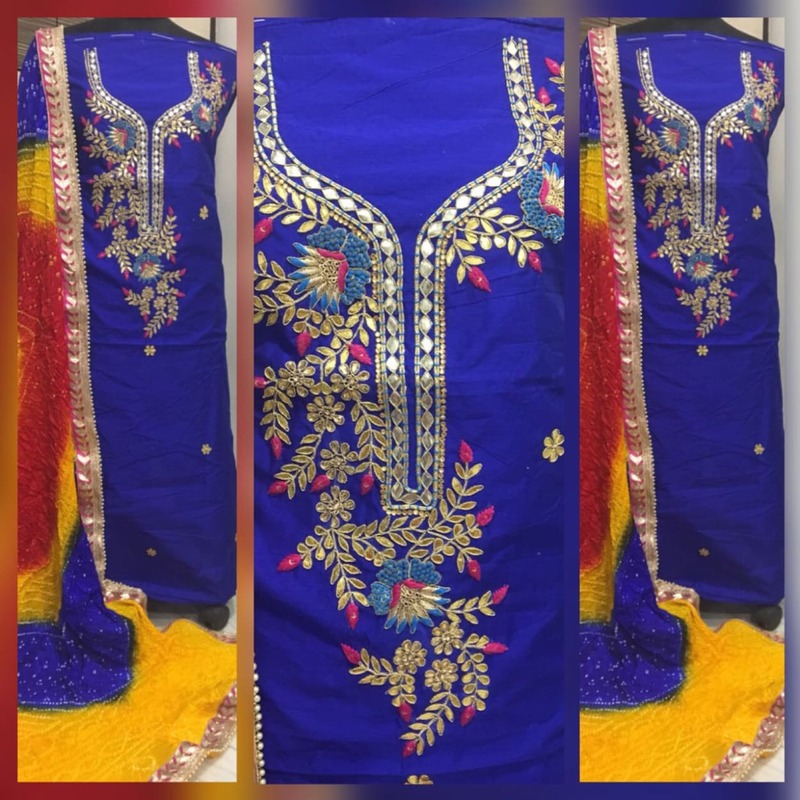 The modern Punjabi suits tinged with an unearthly flash of gota patti work have been eternal favorites for women of all ages and has always given their look a regal twist. Gota Patti Punjabi suits well-groomed with the sequined embroidery in blush tones always work wonders and can be worn on every festive and wedding occasions. 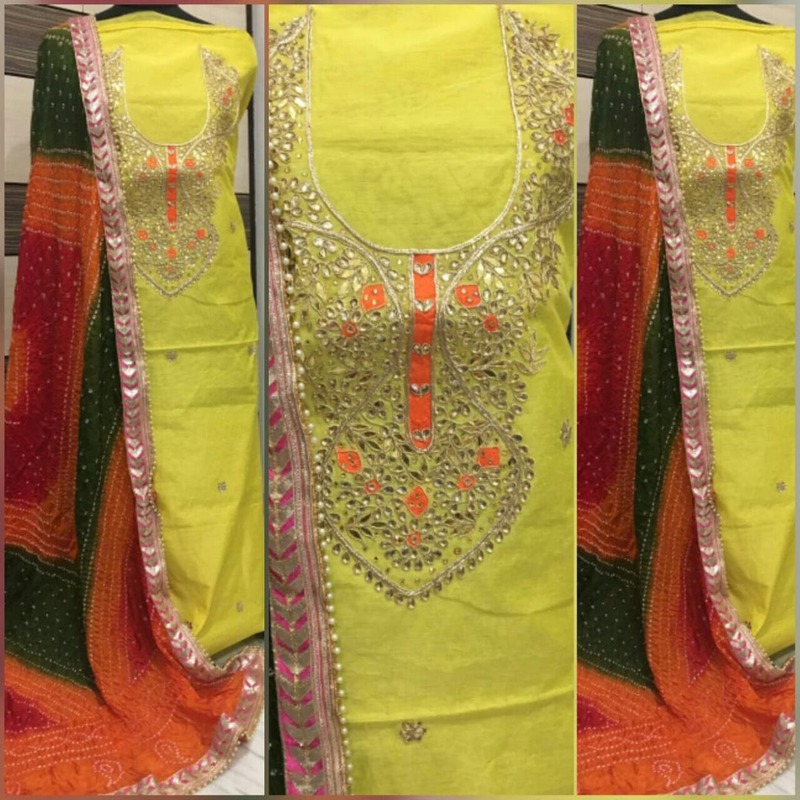 You are a beautiful modern day woman, so make your choice for favorite gota patti Punjabi suit online and wear your pride on the forthcoming festive occasions and weddings. Happy shopping! Online Stores and Offline Retailers – Where Do You Buy Designer Handbags From?